The Beach House Hotel in Hermosa Beach is a lovely boutique hotel that offers the best of big city sophistication with the casual trademark warmth of a southern California beach city. 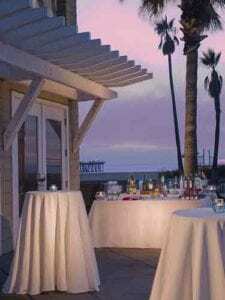 The Beach House Hotel has over 2600 square fee of event space and can accommodate as may as 100 guests in their banquet room overlooking the Strand and the California beach coastline. The 14th Street Banquet Room opens onto a patio garden running the length of the room with multiple French doors and the Strand Café enjoys intoxicating views of the ocean.